In some ways, we feel kinda bad for JCPenney; the department store is quickly becoming the kid on the playground no one wants to play with despite all its best efforts. The latest setback in its quest to find new best friends comes as Caribou declares it doesn’t want to pursue a partnership with JCPenney to set up coffee shops inside its stores. It was only about six months ago when JCPenney CEO Ron Johnson announced the potential for a partnership to come about, notes Bloomberg. While Tattersfield isn’t explaining why the two aren’t teaming up, JCPenney reported an annual sales decline of 25% two weeks ago and has made the news for its struggles to redefine itself. 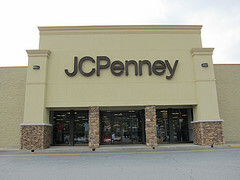 This caffeine withdrawal probably smarts even more as JCPenney is in the midst of a legal battle with Macy’s as it attempts to sell Martha Stewart designs in mini shops within its stores. Even though it has all the products ordered and likely ready to go, it can’t put them on shelves until the mess gets sorted out in court. We’ve been that kid on the playground, JCPenney. But it’s up to you to figure out how to make friends (and get customers in your doors), and keep them.